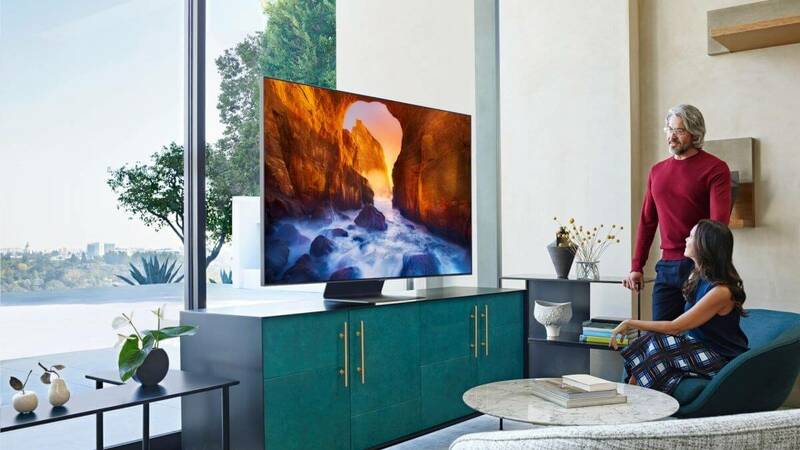 Samsung's 2019 TVs come with a slew of features. The Q90, Q80, and Q70-series have full-array local dimming, which involves the rear LEDs adjusting their brightness on a scene-by-scene basis. The high-end Q90 and Q80 series, meanwhile, boast ‘Ultra Viewing Angle’ tech, which “restructures the TV’s panels so the backlight passes through the panel with lights evenly onto the screen.” This ensures reduced glare, enhanced color, and a great picture no matter where in front the TV you’re placed.